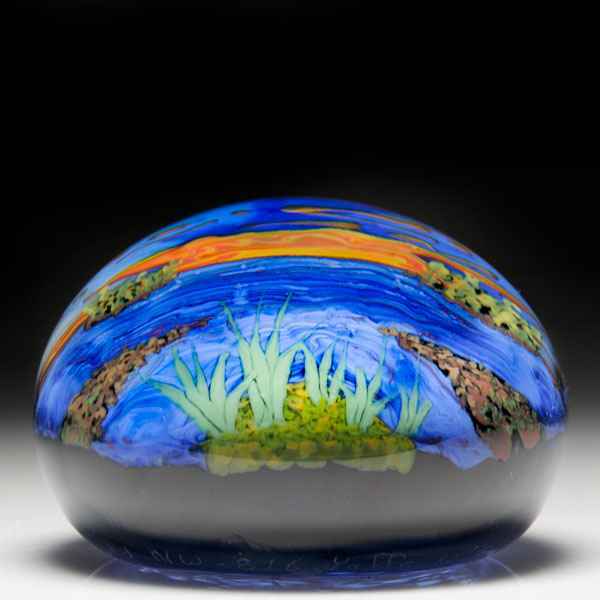 Yaffa & Jeff Todd 2010 "New England" sunrise paperweight. A dark painted sky is lit by a rising sun at the horizon of an estuary with pebbly river banks and greenery. Clear ground. Signed/dated. 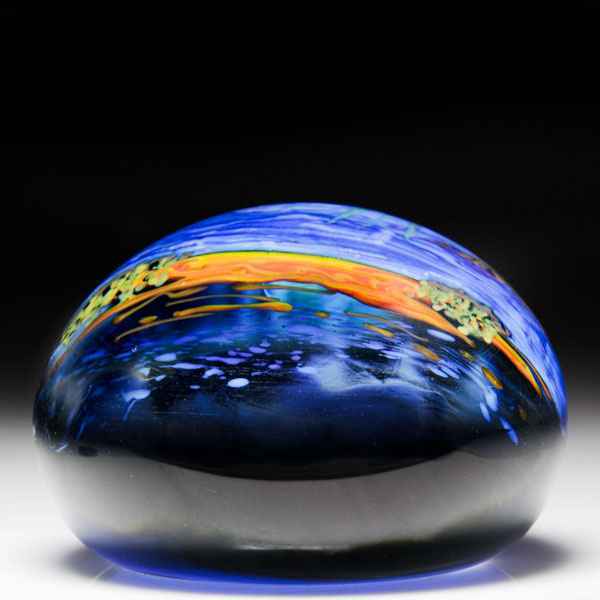 Diameter 3".